UTAR researchers won a gold and two bronze medals at the International Conference and Exposition on Inventions by Institutions of Higher Learning (PECIPTA) which was held from 7 to 10 October 2017 at Stadium Tertutup, Gong Badak, Kuala Terengganu. 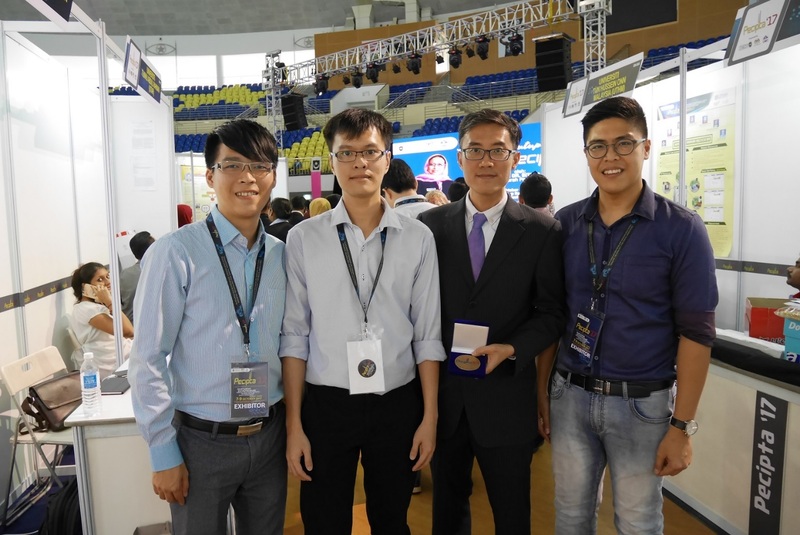 Prof Dr Chong Kok Keong and his teamfrom Lee Kong Chian Faculty of Engineering and Science were awarded a gold medal at PECIPTA 2017 for his invention named “Dense Array Ultra-High Concentrator Photovoltaic System”. On the other hand, Ir Dr Ng Choon Aun from the Faculty of Engineering and Green Technology (FEGT) and his research team won a bronze medal for their invention named “Waste Vegetable Oil Based Environmental Friendly Roofing Tiles” for the industrial design, building engineering and architecture category. Another bronze medal winner from UTAR was FEGT’s Assoc Prof Dr Yamuna Munusamy. Her research team invented the "EGGYPOLYFILL” for a research on environment and renewable energy. 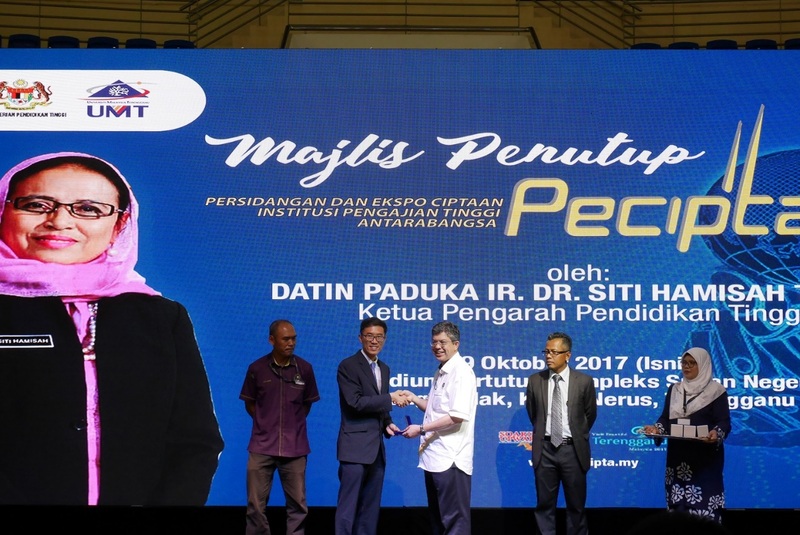 Themed “Nurturing Entrepreneurs through Education, Industry, Technology and Social Innovation”, PECIPTA 2017 was co-hosted by Universiti Malaysia Terengganu and Universiti Sultan Zainal Abidin. 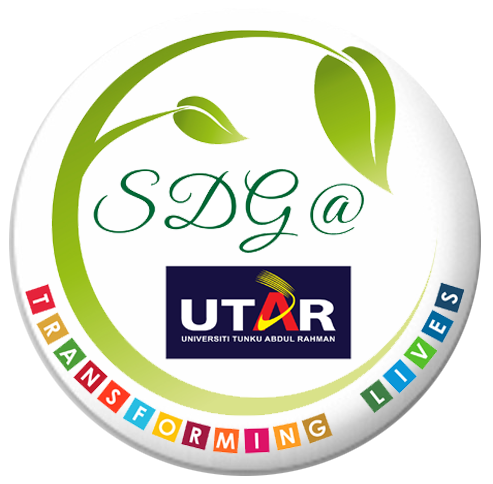 This year’s event saw the participation from all universities under the Fundamental Research Grant Scheme. PECIPTA is a biannual programme organised by Malaysia Ministry of Education together with the selected university since 2001. It aimed to provide a platform for the researchers from the local and international institutions of higher education to showcase their creations as well as innovative products and services. Besides, PECIPTA also aimed to create networking and collaboration opportunities for the researchers to develop prototypes and to commercialise their products.